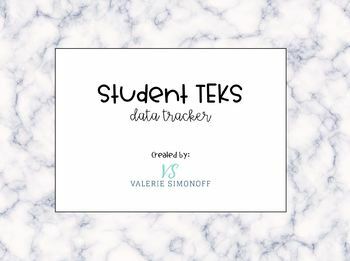 I use this "TEKs Data Tracker" for each of my students to track their progress within each skill. I conference with each of them and we identify their strengths and weaknesses together. I also use this information when conferencing with their parents. Along with the individual trackers, I also keep a summative one for each of my classes. 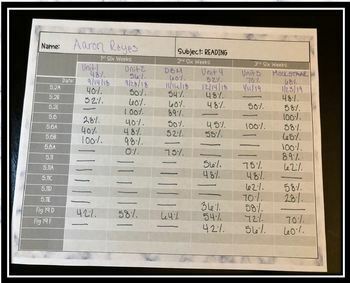 This helps me analyze the overall class averages, and make decisions about re-teach lessons, student centers, and homework, tutoring, and small groups. There is an editable version for both Math and Reading, and for all 6 of the 6 weeks. This can be used for any grade level and any subject. I personally only track the readiness standards.